284 pages | 28 Color Illus. | 102 B/W Illus. 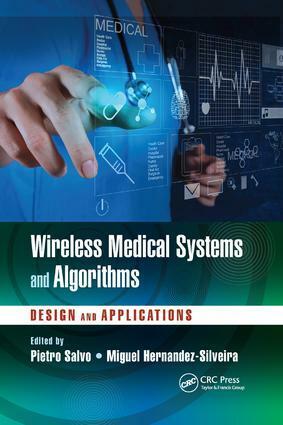 "This 10-chapter text provides a sampling of discourses on the current state of the art in several areas of wireless medical system development and related algorithm developments. Five chapters cover topics in technologies and manufacturing, five cover areas of algorithms and data processing. Twenty-eight authors were involved in these chapters, the text is one of a series edited by K. Iniewski titled Devices, Circuits and Systems. This text is a specialty text, a familiarity with the subject matter and acronyms is necessary to fully appreciate the content of most of the material presented. Overall, this text should be a good current reference source for persons looking at potential developments involving technologically current areas of work in wireless medical device development. Each of the chapters are well-written, succinct, and well referenced." "This book gives an overview of recent and proposed advancements in the field of wireless medical systems. It is an emerging and rapidly expanding field, and this book does a good job of introducing the reader to the different aspects of developing such systems, be it developing the hardware or the algorithms on which the systems are based. The book is a good mechanism for increasing exposure in the area for beginners and also interested readers." Pietro Salvo received his M.Sc. in electronics engineering and his Ph.D. in automation, robotics, and bioengineering from the University of Pisa, Italy. He has been a graduate student in the Electronics Research Laboratory, Faculty of Electrical Engineering, Mathematics, and Computer Science at Delft University of Technology, The Netherlands; a research associate at the Institute for the Conservation and Promotion of Cultural Heritage, National Council of Research, Florence, Italy; and a post-doctoral researcher at the Centre for Microsystems Technology (CMST), Ghent University, Belgium. Presently, he is a post-doctoral researcher in the Department of Chemistry and Industrial Chemistry, University of Pisa, Italy. Miguel Hernandez-Silveira received his B.Eng. (honours) in computer/electronic engineering from the Universidad Fermín Toro, Barquisimeto, Venezuela and his Ph.D. in biomedical engineering – functional electrical stimulation from the University of Surrey, Guildford, UK. He served as researcher/lecturer and director of the Bioengineering Research Group at the Universidad Nacional Experimental del Táchira, San Cristóbal, Venezuela before joining Sensium Healthcare, Abingdon, UK (a division of the Toumaz Group), where he is currently the Head of Biomedical Technology. Widely published, Dr. Hernandez-Silveira holds four patents in the UK, and he is also a visiting researcher in the Department of Electrical and Electronic Engineering at Imperial College London, UK.